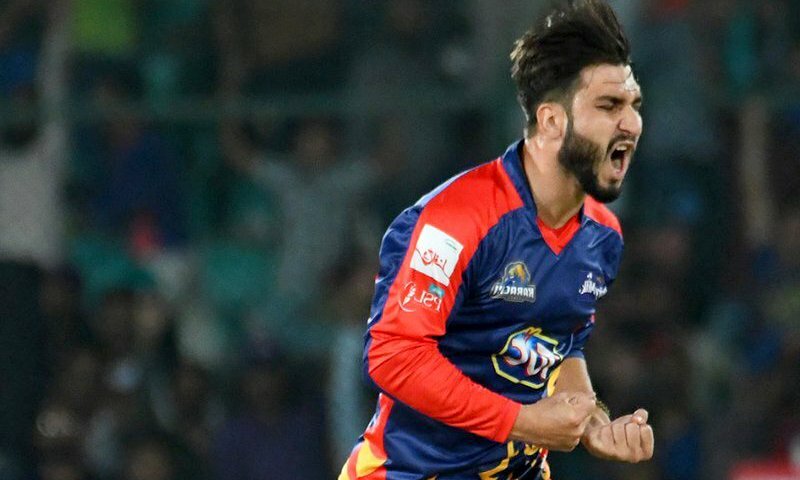 Karachi Kings qualified for the playoffs as Usman Shinwari bowled an extraordinary last over defending five runs in the last over, taking three wickets and conceding just three runs. It was arguably the best match of the fourth season of the Pakistan Super League, played in front of a houseful National Stadium Karachi on Sunday, the game swung like a pendulum between the two sides as one team had an upper hand at one stage, while the other had the edge in the next moment. Sarfraz Ahmed won the toss and elected to bowl first. Karachi Kings did not have an ideal start as Colin Munro once again failed to impress with his 26-ball 30-run inning, whereas, Babar Azam scored a half-century, but it was on a slower side keeping the wicket and short boundaries in view. He scored 56 off 46 deliveries. It was once again Colin Ingram and Iftikhar Ahmed, who brought Karachi Kings back in the game with their onslaught, scoring 24 runs off 10 deliveries and 44 off 18 balls respectively. The cameos from the duo took Karachi Kings to a firm total of 190 runs. Mohammad Hasnain emerged as the most successful bowler for Quetta Gladiators with two wickets to his name. Whereas, Sohail Tanvir, Mohammad Nawaz and Fawad Ahmed took one wicket apiece. As Gladiators came out to chase, they had an excellent start, the opening pair of Shane Watson and Ahmed Shehzad contributed 68 runs in 6.3 overs together, before the Aussie batsman got out after scoring 20 (15). Riley Rossouw could only score 10 off 7 balls, whereas, the man-in-form, Umar Akmal contributed 27 runs on 20 balls with the help of three 6’s. It was once again Karachi Kings’ young intelligent spinner, Umer Khan who performed for his team, taking three precious wickets of Shane Watson, Riley Rossouw and Umar Akmal. He bowled an outstanding spell of 3 for 26. It was then one-man show for Ahmed Shehzad in the rest of the game, he played brilliantly for his 99 runs off just 57 deliveries, keeping Gladiators alive in the game, while he kept losing wickets from the other end. It was a tough day for Karachi Kings’ pacer, Usman Shinwari, Aamer Yamin and Sohail Khan, who conceded 43, 54 and 39 runs in their quota of four overs. 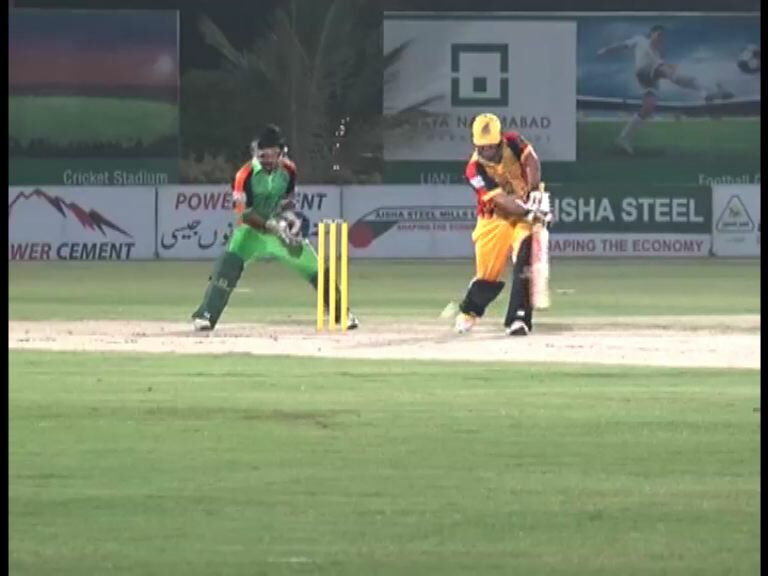 In the seventeenth over of the inning, Usman Shinwari conceded 22 runs, but he made an impressive comeback in the last over to defend 5 runs. He removed the well-settled Ahmed Shehzad, Anwar Ali and Sarfraz Ahmed in his last over to take Karachi Kings to play-offs. Umer Khan remained the pick of the bowler for the Kings taking three wickets for 26, while Usman Shinwari took three wickets for 43. No other bowler from Karachi Kings could take a wicket, but the skipper Imad Wasim bowled brilliantly, leaking just 17 runs in his quota. Karachi Kings will take on Peshawar Zalmi at the National Stadium Karachi on Monday.